Lanka Software Foundation, a non-profit and research oriented organization in Sri Lanka initiated a project in 2009 to develop opensource software to be used in nanotechnology research work. The idea was welcome by Sri Lanka Institute of Nanotechnology and agreed to assist in the progress. The plan was to release a tool in 2010 and continue the progress in to a bigger project after the release. The inceptive project known as 'Ninithi' , is gradually approaching its completion. at the moment. 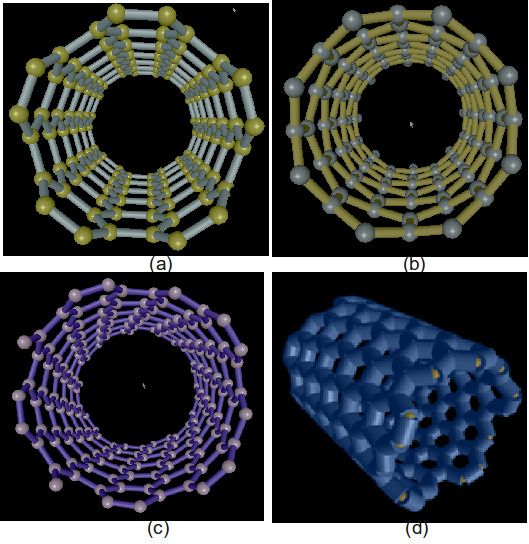 The goal is to develop a tool to visualize and analyse widely used carbon allotropes in nanotechnology, Graphene, Carbon nanoribbons, Carbon nanotubes and Fullerenes. The software also provides 3-D views of the molecular structures of those molecules and graphs illustrating electrical properties of them.